Clear your calendars – it is the event of the year! 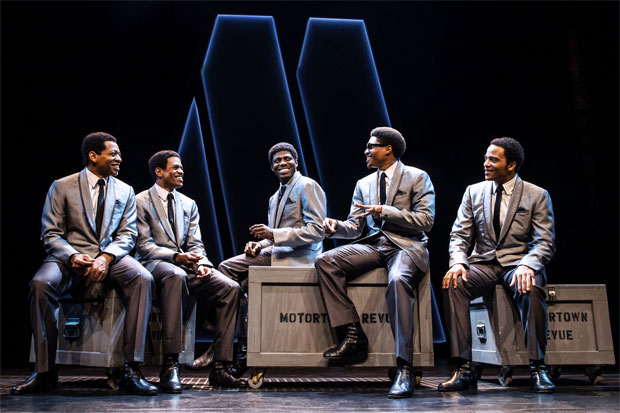 Imperial Theatre is playing host to the incredible Ain't Too Proud: The Life and Times of The Temptations and it's going to be out of this world! How's that for great news!? You can catch this extraordinary event on Thursday 11th April 2019 – you will be absolutely pleased you did! Get your tickets today to guarantee your place as seating is limited. Experience the spectacular production of Ain't Too Proud: The Life and Times of The Temptations – one of the most talked about Theatre events of the year! This life-changing show comes to Imperial Theatre on Thursday 11th April 2019, bringing the critically acclaimed performance to the stage and creating a world like no other! Escape from the routine of your usual Thursday and find yourself totally immersed. A hit from day one, there's a reason Ain't Too Proud: The Life and Times of The Temptations has been the Theatre show on everyone's lips – you've never seen anything quite like this! Make sure you catch Ain't Too Proud: The Life and Times of The Temptations while it's in New York City – tickets will sell out quickly and you won't want to miss this unforgettable show!